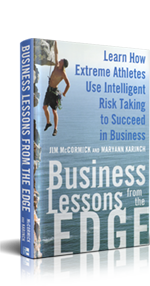 These extraordinary athlete executives are featured in Business Lessons from the Edge. Leading a billion dollar business as Microsoft Corporation’s General Manager of Microsoft Project Business Unit sounds scary, but what is scary for most is business-as-usual for Mike, an aerobatic pilot and paragliding pioneer. Mike has 1200 hours multi-engine time, has owned 5 airplanes including a Pit-special, and flown from Long Island to Seattle in an open cockpit biplane. 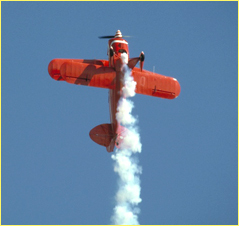 Most active in aerobatic competitions in 2003, that year he won or placed in several regional competitions in a row and then won the Northwest Regional Champion Award. He went from there to Pylon Racing School at the Reno Air Races where he participated in the pilot qualification school, which involved close quarters aerobatics, flying below 100 feet, and a whole series of other maneuvers to qualify him for wing tip to wing tip racing. Shellye had a job before the school day ever began: Clean the local stables as a trade for boarding fees for her horse, Scarborough, who became her partner in dressage. To her, the appeal of the sport was what some might see as the extreme nature of it: a high degree of precision in guiding the horse through gymnastic maneuvers with minimal input from the rider. Shellye is Chief Executive Officer of MetricStream, Inc. As a dressage competitor, she won several regional competitions on the East Coast. As a corporate executive, she has received many honors, including a Trailblazer Award at the Sixth Annual FWE Celebration of Leadership Achievement. She is a member of the Information Technology Senior Management Forum; the Forum of Women Entrepreneurs; the Women's Council to the Board of Trustees for the University of Pennsylvania; and director of Silicon Valley Leadership Group, a nonprofit organization that addresses major public policy issues affecting the economic health and quality of life in Silicon Valley. Bill has earned awards and honors that stretch as far as both the Poles - where he has visited in the 1970’s and 1980’s. One of the very few people to take expeditions to the Poles in that period, he was also a pioneer in public broadcasting and is now President Emeritus of Education Broadcasting Corporation in New York. Bill holds a doctorate in industrial psychology in addition to honorary degrees from Rutgers University, Manhattan College, Fordham University, and many other institutions of higher learning. He is also a Fellow of the Explorers Club, that is, someone recognized by this prestigious, professional society as having made documented contributions to exploration or scientific knowledge. He also produced the Emmy-winning documentary The Face: Jesus in Art. His current passion is lighthouse keeping for weeks at a time in remote locations, an extreme activity he can do with his wife. President and Co-founder of PhilippeBecker, a San Francisco branding and packaging agency, David is also a skydiver, skydiving instructor and coach. His team (Focus4) won silver medals at US Nationals Skydiving competitions in 1998 and 2000. Under David’s leadership, PhilippeBecker has increased revenue 1700 percent from 2002 to 2007, grown to a team of 24 employees, won the prestigious HOW and Communication Arts awards, and been named by Inc. Magazine to its 2007 list of America’s 5000 fastest-growing private companies. Sales for new brands that PhilippeBecker has created exceed $1 billion. Having about 90 starts in pro racing in the American LeMans series to his credit was not enough, so Don took a “family trip” with his wife to the North Pole with David Hempleman-Adams, the first man in history to reach the Geographic and Magnetic North and South Poles as well as climb the highest peaks in all seven continents. Don is the founder, President, CEO, and Chairman of the Board of Bell Microproducts, one of the world’s largest value-added distributors of storage and computing technology. Well respected among his peers, Don has gained a reputation for being an innovative strategist and a leader in creative high tech marketing and management. Since its founding in 1988, Bell Microproducts has rocketed to be one of the top five companies worldwide in its industry. Bell Microproducts sales exceed $4 billion. The former CEO of Ingram Lightning Source, the subsidiary of Ingram Industries Inc. that provides print-on-demand services, was on the Canadian ski and bobsled teams, and with the latter, took 4th place in 1983 World Cup. All together, he had competed internationally in eight different sports: gymnastics, rugby, rowing, downhill racing, freestyle skiing, speed skiing, biathlon, bobsledding, mountain biking, and polo. He hasn’t gotten to fulfill his dream of being a Formula One race car driver, but to date, he has taken 9 high-speed driving courses. Founder and CEO of The Pacific Group, Stacie started her career in executive placement with the prestigious Heidrick & Struggles, but as she says, “things really fell apart when I rode my motorcycle to the office.” This rock climber who likes to go where others have not in both business and sport launched her own placement firm with unique client-centered policies and quickly drove it into the top five in the San Francisco Bay Area. She once did an Eco-challenge race after the fact in Borneo with a few friends just to prove they could do it. Stacie’s first career was in military intelligence working for the National Security Agency. Preston, Associate director of the Wharton Leadership Ventures Program, is one of the leading experts on risk management in the outdoor field. He began his formal career in the late 1980’s leading 60-day remote wilderness trips with adjudicated youth out of New Jersey. Trained as a Wilderness Emergency Medical Technician, a NAUI Rescue Diver and an Ocean Lifeguard Trainer, Preston has led both terrestrial and marine Search and Rescue teams. Prior to coming to the Wharton School of the University of Pennsylvania, Preston ran Adventure Management, an operational risk management consulting firm that worked with Governments and Universities around the world on issues related to teaching and working in remote environments. Preston holds a Masters of Education from the Harvard University Graduate School of Education, Risk and Prevention Program, where he completed formal research in the etymology and epistemology of risk. In pursuit of the seven summits, the highest mountains on the seven continents, Guy has in just six years of mountaineering summited Aconcagua in Argentina (22,840 feet), Kilimanjaro in Tanzania (19,339 feet), Mount Elbrus in Russia (18,841 feet), and Vinson Massif in Antarctica (16,067 feet). A veteran of Wall Street investment banking and graduate of Stanford Graduate School of Business, he is founder and Managing Principal, Columbia West Capital. He has executed more than 60 transactions representing a total value topping $25 billion. A five-time world professional slalom champion water skier, Camille is a top performing broker with Warburg Realty Partnership in New York and was awarded the Real Estate Board of New York’s “Deal of the Year” award in 2002. 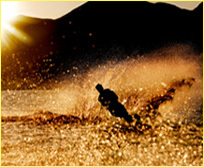 Sports Illustrated named her one of the “100 Greatest Female Athletes of the Century” and she was inducted into the Water Ski Hall of Fame in 2003. Camille has won 15 U.S. water skiing national titles in her career, reigning as both the world professional slalom champion and U.S. overall champion five times simultaneously. She founded the Professional Association of Water Skiers and was its first president. As a litigator and founding partner of a successful Boca Raton law firm, Paul may have been accused of being a pit bull on many occasions, but in reality, his expertise in jujitsu has subdued them. In 2008, using the martial arts skills he has honed since boyhood, he thwarted an attack by two pit bulls that put a woman’s life at risk - while his proud, 8-year-old son watched and called 911 from the car. Paul earned his Juris Doctor degree, with Highest Honors, from Emory University School of Law and, after spending several years representing blue chip companies in class action lawsuits at one of the largest corporate defense firms in the world, he became an entrepreneur. His currently heads Coughlin Stoia. He is rated AV by Martindale-Hubbell (the highest rating available) and has served as lead or co-lead counsel in a majority of the securities class actions that have been filed in the southeastern United States in the past several years. Paul is also heavily involved in corporate governance litigation and has successfully represented consumers in class action litigation. As President of Outward Bound Professional, Bob has led the way in delivering experiential programs to corporate and university clients. The company’s programs in the areas of team building, leadership development, cultural change, communications, and trust building give Bob a way to share sports that he loves. An avid sailor and mountaineer, he was a member of the 1991 American Karakorum Expedition to Gasherbrum II, also known as K4, and the 13th highest peak on earth. A superstar of freestyle motocross, Carey got hooked at a young age. In 1998, he led the way in making freestyle motocross a sport worth watching and worth money to the people who participated and the companies that sponsored it. He has invented the most extraordinary moves the sport has ever seen, even becoming a featured part of Ripley’s Believe It or Not! In 2004, Carey’s passion for tattoos turned into a business venture that opened in the prestigious Palms Casino in Las Vegas. This move led to another of many TV opportunities for Carey when the A&E network followed the workings of the shop in the reality show: INKED. Carey also opened a club called Wasted Space in June 2008 inside the Hard Rock Casino in Las Vegas. Gavin, who travels with confidence on his bicycle and motorcycle, but is still working through issues with his fly fishing, is President and CEO of Versus TV (formerly Outdoor Life Network). He joined VERSUS from E! Networks, where his leadership in brand development and positioning helped effect the success of E! Entertainment Television, The Style Network, E! International and E! Online. He holds an MBA from the UCLA Graduate School of Management and a Master of Arts in International Relations from the University of Chicago. A world-class ultra runner, Sharon worked in retail for 15 years in every position from entry level to buyer to Senior District Manager to Director of Training at The Gap, a position that served as a steppingstone to her work at Chevron. She created the training network at The Gap for product and sales, starting out as one person with a staff of three and leaving with a staff of 30 in three years. She worked with Ken Blanchard to customize his situational leadership model to The Gap and retrained everyone from executives to store managers on the resulting principles - a unique program for the retailer during a period of transition in which brand consolidation was a dominant concern. Chevron then recruited her to build network and structure around their training organization, especially in their overseas operations. Sometimes, it even involved driver’s education in countries like Nigeria, Venezuela and Kazakhstan. She then went to work directly for the Chairman of the Board, helping him identify leadership competencies of executives to aid in his decisions about moving people to the top tier of Chevron management. She soon became Manager of Succession Planning and Development, a position that put her in the middle of all of the senior executives at this $225+ billion company. Sophia is Marketing Communications Manager for Kovarus, a privately held technology consulting firm, and is steadily building her arsenal of skateboarding tricks to help change the perception that her sport is mostly a guy thing. 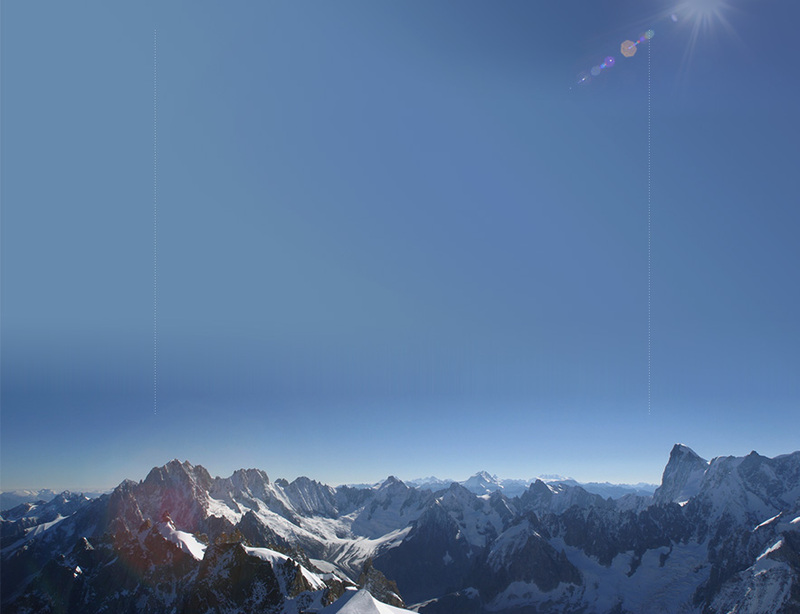 A devotee of “adventure recreation,” such as summiting Mt. Kilimanjaro, skiing advanced slopes, and skydiving, Diane’s rise at Dominion Resources reflects her commitment to face challenges in a methodical way. She currently serves as senior vice president-Business Development & Generation Construction for this $16 billion power company. She holds a bachelor’s degree in electrical and mechanical engineering, a master’s in electrical engineering, and an MBA, but notes that she did it in spite of the fact that she is bad at math. President of Professional Bull Riders, Ty is “King of the Cowboys.” He is to rodeo what Wayne Gretzky is to hockey or Michael Jordan is to basketball. In a fifth-grade essay about what he wanted to do when he grew up, he wrote: “I want to beat Larry Mahan’s record,” referring to the six All-Around World Championships of the rodeo legend who was his hero. After a serious of injuries that delayed his dream by three years, he realized it on December 13, 1998, when he earned a record-breaking seventh All-Around World Championship title. Launched in 1992, the athlete-owned PBR has more than 600 members in the U.S. and abroad, and its events broadcast on NBC, VERSUS TV and Telemundo currently attract more than 600 million viewers worldwide. PSS Systems, she drives the solution vision for the leading provider of legal holds and retention management solutions. In 1994, she founded the CGOC, a professional community on retention and preservation to assemble an ecosystem of domain experts to inform the company’s product and market strategies. When she served as CEO of CoVia Technologies, Deidre and the company were inducted into the Smithsonian Institution for Innovation two years in a row. A former competitive skier, as well as a martial arts aficionado during her days at Stanford, Julie founded Pearl Law Group with Alan Nelson, former Commissioner of the U.S. Immigration and Naturalization Service, in 1995. Within three years, she developed ImmigrationTracker™, the immigration management system now used by over 75 percent of top-ranked law firms and many Fortune 1000 companies, hospitals and universities. Pioneering fresh approaches to customer care - one of which is her policy of fee-based billing rather than the standard per-hour approach in the legal profession - her firm has made “Fastest Growing” lists and was named the #1 Woman-Owned Law Firm in the San Francisco Bay Area. Julie is a former Deputy Attorney General in California. Lathian Systems founder and marathoner Quang X. Pham had no CEO experience, no Wall Street experience, no financing experience, and only five years of working in the private sector after he left the United States Marine Corps, and within 14 months of incorporation, he had raised $14 million. Naysayers told him not to buck conventional wisdom by spending his valuable time while at The Merage School of Business at University of California, Irvine writing a “stupid business plan” and entering it in a “dumb contest.” That contest was Hummer Winblad Venture Partners’ February Madness, from which Quang won $5 million in venture capital with his plan for the world’s first virtual drug representative portal. A year later, he raised another $9 million. Quang is the author of A Sense of Duty: My Father, My American Journey. He flew medivac helicopters for the Marines during Operation Desert Shield. Mark is an Alpine-style climber who has done first ascents, as well as climbed famous and well-established routes on mountains like Everest. After starting his career making fine musical instruments, he founded and leads Mark Richey Woodworking, a $20 million, Massachusetts-based architectural woodworking firm that employees 100 people and has won multiple awards related to architectural excellence. This is a man who loves the fact that flying takes him into surprising environments, requiring him to use skill sets he wouldn’t have applications for elsewhere. Jeff was appointed Group President, Innovation and Civil Training & Services in May 2006. While leading CAE’s global training organization, with a particular focus on increasing CAE’s presence in emerging markets such as India and China, he also responsible for establishing a company-wide group devoted to innovation. This initiative is intended to identify opportunities for CAE to leverage its expertise and leading-edge technologies in adjacent markets. Previously, Jeff had served as Group President of CAE's Civil business unit. An experienced pilot and training officer, Jeff brings a broad and deep understanding of the aviation training business to his daily work. Jason is a Fellow of the Explorers Club and leader of expedition canoe trips around the world. At a young age, he became determined to rise above his economic circumstances and build a life of financial independence so he could spend time canoeing, which he fell in love with at age 10. He carried out his plan by saving his money and investing in real estate; the holdings now make up Schoonover Properties in Canada. As an ethnological field collector, he has contributed pieces to museums around the world as well to private collections. Kevin has an insatiable hunger for travel - he’s been to 65 countries - that has included putting one foot in front of the other to reach the summits of the world’s highest mountains. He has been known to play guitar and sing at elevations as high as 18,000 feet. As Chief Executive Officer and Chief Consultant of HR Solutions, Inc. he directs all survey work conducted by the firm. He has extensive experience in the field, having co-founded three successful survey-related organizations. Prior to earning his MBA from Harvard, Kevin spent four years with the Chase Manhattan Bank, N.A. in New York City, London, and Japan. After Harvard, Kevin founded Collegiate Research Services, Inc. (CRS). CRS was established for the sole purpose of introducing the American Career and College Entry Service (ACCES), a unique and cost-free service for high school students in America. Featured in numerous publications including Business Week and USA Today, ACCES used a survey to create the first electronic link between students and organizations that provide opportunities for further education and training (i.e. postsecondary schools and employers). More than half of all high schools in the country (comprising seven million students) agreed to participate in the service. Kevin grew up on a Native American Indian Reservation in Northern Wisconsin. The founder, President and CEO of ScripNet is a devoted runner and mountain climber, who has been named one of Las Vegas’ “Top 40 under 40.” A lawyer by education, he teamed up with his wife Jennifer, an MBA, to form ScripNet in 1997. The pharmacy benefit manager provides pharmacy management services to worker’s compensation companies. ScripNet was named to the Inc. 500 three years in a row, the Inc. Magazine ranking based on percentage growth in company net sales over a five-year period. An aerobatics instructor and commercial jet pilot with instrument and multi-engine ratings, Bob’s role as VP Corporation Communications, Cessna Aircraft Company is what he describes as “the job I’ve been looking for all my life.” As the lead communications person for the leading manufacturer of general aviation aircraft, he has been responsible for telling the public about some of the most interesting developments and challenges in recent aviation history. Prior to joining Cessna, Bob held the same position with Rolls-Royce North America and Fairchild Dornier and other senior communications positions with Litton and United Technologies’ Sikorsky Aircraft and Pratt & Whitney units. 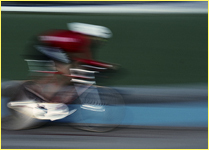 An Ironman triathlete, Parks believes that his sport requires such discipline that the good habits shape his career managing an equity trading desk for Credit Suisse. In short, triathlon is not just a hobby or sport, it’s a lifestyle. Parks, who has been with Credit Suisse since 1995, rose through the ranks to run the Private Bank’s Equity Trading desk. An avid skier drawn to the giant slalom, Kirill, who grew up in Moscow, is the corporate vice president of Microsoft Business Solutions at Microsoft Corp. and oversees the MBS business, with responsibility for sales and marketing, R&D, and operations. MBS develops and markets the line of Microsoft Dynamics products that manage financial, customer relationship and supply chain management functions for organizations of all sizes. In January 2002, Computerworld named Kirill one of the business world’s 2002 Premier 100 IT Leaders. This award honors individuals who have had a positive impact on their organizations through the use of technology. Kirill is a Level-1 ski instructor, certified by the Professional Ski Instructors of America, and teaches skiing through Outdoors for All, programs for people with learning disabilities. The twin-sister founders of Surf Diva took a passion from their youth and turned it into a surf school and fashion business. Izzy’s background as a competitive surfer and surf instructor, and Coco’s talents in marketing and design converged when they decided to build a business that would support their mutual values and lifestyle. The company now conducts classes in both the United States and Costa Rica. Bob’s eclectic accomplishments as an athlete/adventurer - from summiting Aconcagua to bicycling around the world to living with goat herders in Kyrgyzstan for three weeks - reflect a sense of exploration that seems out of synch with his role as vice president of Wealth Management for CitiBank. While tackling some of the seven summits, heliskiing in South America, and earning a ranking of 4 in his age group in squash doubles, he also managed to build his book of business to the $100 million mark, and it continues to grow. Bob was a pioneer in charging fixed fees based on the amount of assets under management rather than charging clients on a transaction-by-transaction basis. The President/CEO of Xceedium is an expedition sailor and SCUBA diver and now heading up her sixth, successful start-up. The start-up mentality took hold at the age of 12 when she borrowed some SCUBA gear to find out what the bottom of a lake looked like. 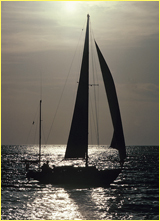 It flourished as she navigated oceans around the world, often in daunting conditions because storms just seem to know where she is sailing. Cheryl pioneered the development of Xceedium’s market position, product portfolio, sales traction, and overall organizational performance. She joined the company from Immunix, where she served as president, CEO and Chairman. Before that, she headed Covigo, a mobile middleware provider that was purchased by Symbol, and President/CEO of Taviz Technology, brightinfo.com, which was sold to Annuncio/Peoplesoft. She was EVP with iBand, which Macromedia bought. Cheryl has been honored with the TrailBlazer Award in 2002 and the LodeStar Aware in 2003 from the Forum for Women Entrepreneurs. A former member United States Mogul Ski Team, Kristen’s great love in the sport was the adventure side of it. By the age of 23, she had earned the unofficial title of “best extreme skier in the world,” and later accomplished the first female descent of Grand Teton. Kristen currently does executive coaching and conducts clinics for sports and business professionals through her company, Ski to Live. In her work, Kristen captures the intersection of sports, adventure, and Zen wisdom. 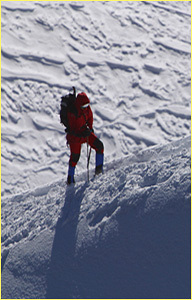 Chris has summited about 150 times on peaks over 19,000 feet and is one of the most recognized names in mountaineering. He is founder of Earth Treks, Inc., which operates climbing centers, leads expeditions to the world’s highest peaks and partners with the Wharton Leadership Ventures Program to take MBA students to peaks in Africa and South America. 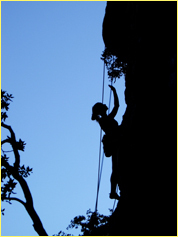 An American Mountain Guides Association certified Alpine Guide, Chris has been teaching climbing since 1983. He is the author of High Altitude Leadership. An internationally acclaimed pioneer in skateboarding, Per took freestyle skateboarding to new heights with his technical prowess before founding Blitz Distribution in 1992. He serves a President of the Huntington Beach, California company, which handles many of the eight brands that he has launched. One of the first was Birdhouse Skateboards, co-founded with Tony Hawk, who purchased 100 percent interest in the company in 2008. Per earned an MBA from UCLA. His current focus is casual apparel for the young male market. Troy is a skydiver, BASE (building, antenna, span, earth) jumper, and founder and President of GoFast Sports and Beverage Company. A former member of the world class competitive skydiving team, Airmoves, he was among the few survivors of one of the worst plane crashes in skydiving history; after that he founded the company whose first product was a helmet to make skydiving safer. His most recent projects are an energy gum and jet packs that run on relatively affordable fuel and have the potential of becoming a consumers vehicle. 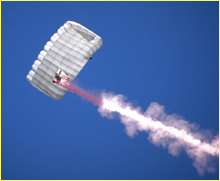 Troy’s first jet pack made its debut in the summer of 2008 with 33 seconds of continuous flight, and his forthcoming high-end model will provide nine minutes of continuous flight. John runs the gamut in outdoor adventure, from climbing the world’s highest mountains to motorcycling through 26 countries - a 25,000-mile trip - to fly fishing. He is founder, President and CEO of J.C. Wilson Associates, a San Francisco-based executive search firm specializing in searches for the financial services, advanced technology, and biotech industries. His early career, when the mountaineering urge grabbed him, involved making significant loan recommendations for Citibank in Hong Kong, Malaysia, and Singapore. Gord is founder and President of JESSAM Communications, a graphic arts and design company, and a former member of the Canadian Olympic Bobsled Team. He became the brakeman by default when his teammate, Kirby Best (see above), told him how to handle his job: “When I scream ‘brakes,’ put the damn things on.” Named to the Olympic team, had a horrific accident in sled number 13, 13th position, 13th turn. It prevented him from competing in the Sarajevo games, but it did not make him superstitious. © 2018 The Rudy Agency. All Rights Reserved.